Within 30 minutes of hearing about tend.ly, I knew I had to be involved. 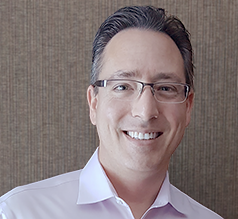 tend.ly, a leader in care center software, is excited to announce the hiring of Byron Hardie, as chief marketing officer. Hardie will oversee tend.ly’s marketing efforts, building on the company’s growth over the past 12 months. Hardie is a growth marketing expert that started his career at the launch the SEO industry in 1997. Most recently, Hardie served as the head of inbound marketing at Angie’s List where he overhauled their social, content, SEO, and influencer strategies that brought significant growth in organic traffic — a major factor in the successful $500m acquisition of Angie’s List by IAC. Through our innovative software, tend.ly allows care providers to connect with loved ones and share daily reports. We work with care centers across the U.S. to help them save time by using our simple software to communicate meaningful moments to families, increase staff satisfaction, and create and retain loyal customers. Learn more at https://tend.ly.